Dokrak the Clever Animal Author :Department of Curriculum and Instruction Development, Ministry of Education This supplementary reading book is suitable for grade 3 - 6. This supplementary reading book is suitable for grade 3 - 6. Let's Forget It and Saving Author :Kila Punnapat and Luang Kirithiyolan This supplementary reading book is suitable for grade 5 - 6. 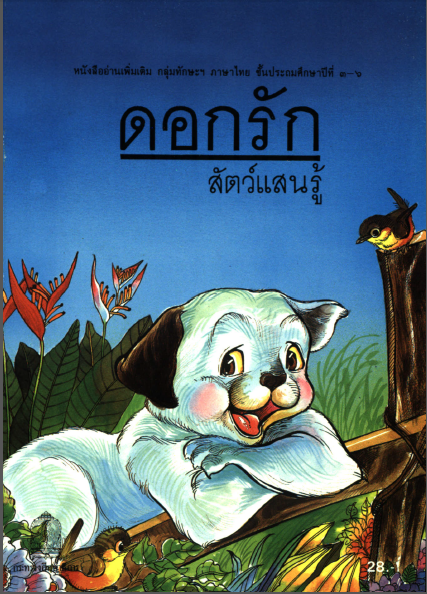 Udom the Good Boy Author :Kila Punnapat and Luang Kirithiyolan This supplementary reading book is suitable for grade 5 - 6. This supplementary reading book is suitable for grade 5 - 6. 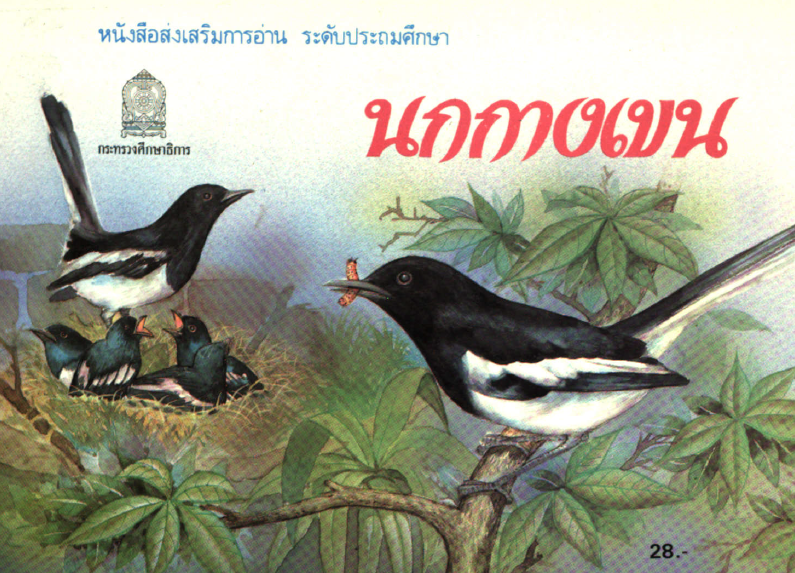 Oriental Magpie Robin Author :Luang Kirathiwittayolan and Aram Sitthisaribud This storybook provides reading practice, which is suitable for grade 2. 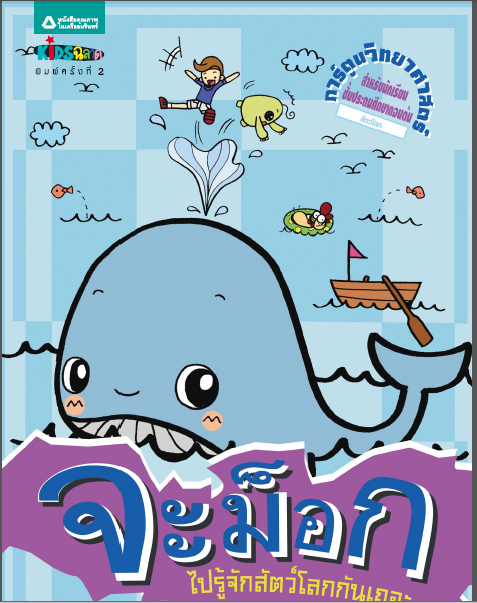 This storybook provides reading practice, which is suitable for grade 2. 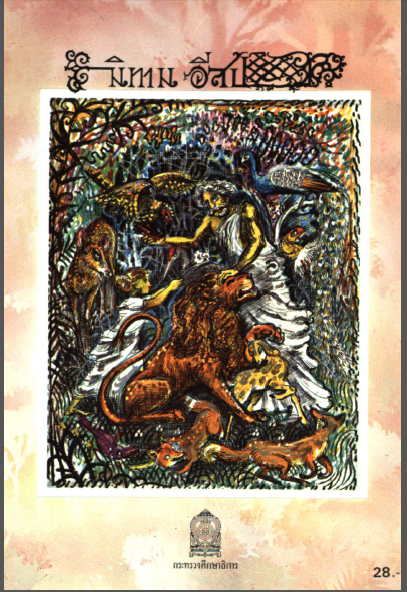 Poems of Proverbs Author :Luang Jaratkankurukam This supplementary reading book contains proverbs poems 15 stories, which is suitable for primary level students. 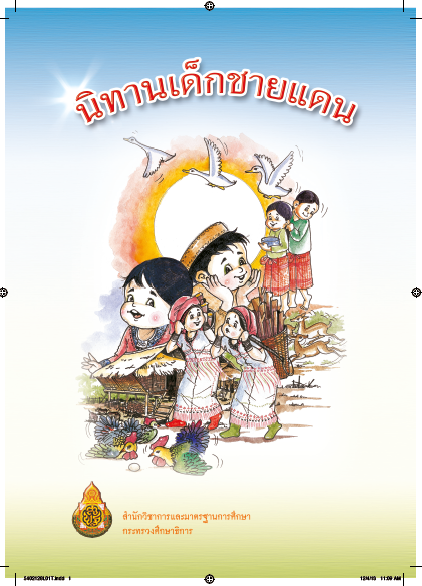 Children Stories from Borders Author :Office of the Basic Education Commission, Ministry of Education This story book will helps ethnic children who have different native languages practice reading Thai, which is suitable for students who is studying Thai and other ethnic languages. 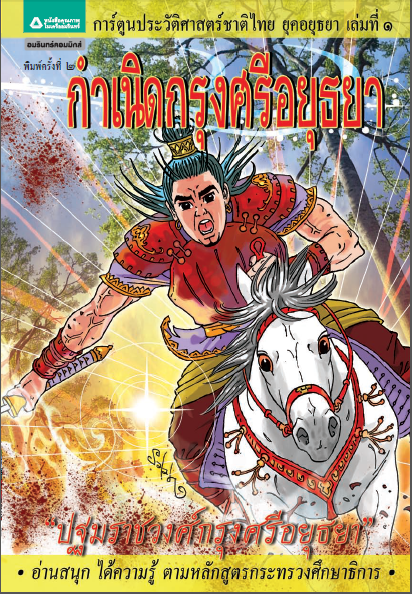 Thai Historical Comic: Ayutthaya Era Vol. 2 King Rachathi... 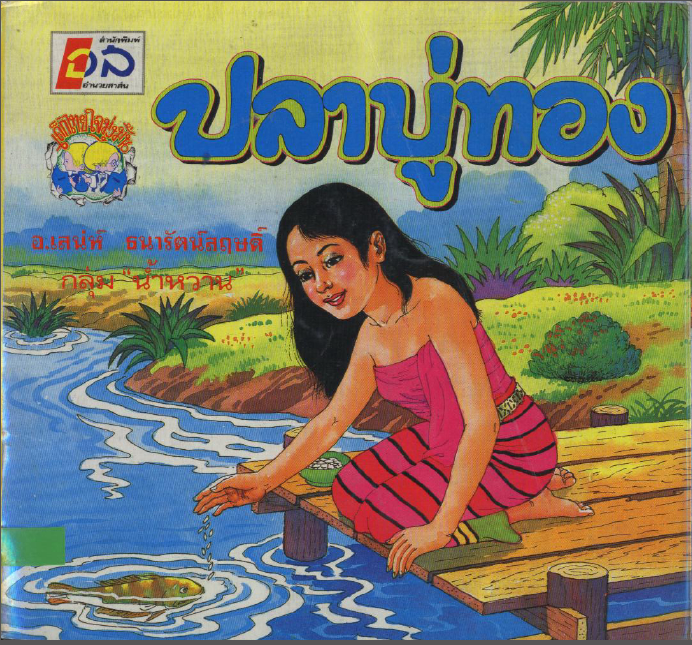 Author :Sala Nakbumrung This storybook helps students learn about Ayutthaya Era, which is suitable for primary levels. 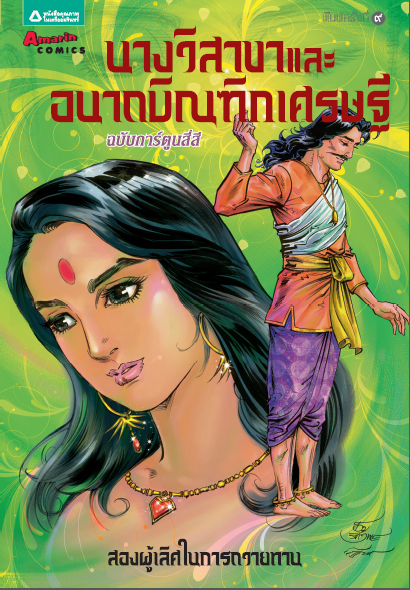 Thai Historical Comic: Ayutthaya Era Vol. 1 The Beginning... 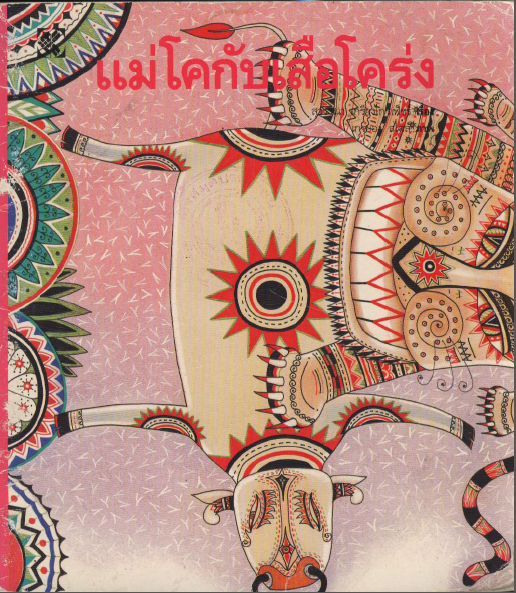 Author :Sala Nakbumrung This storybook helps students learn about Ayutthaya Era, which is suitable for primary levels. 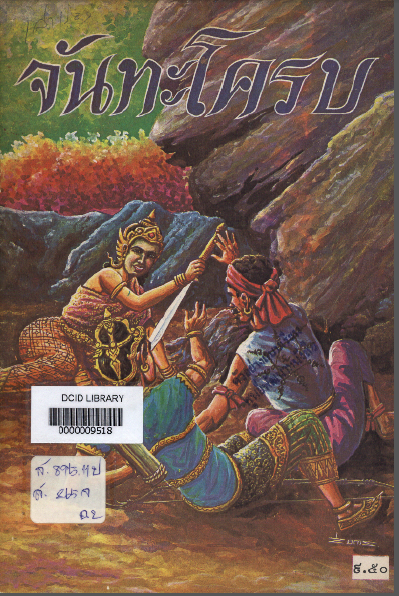 Thai Historical Comic: Sukothai Era Vol. 5 Mahathammarach... 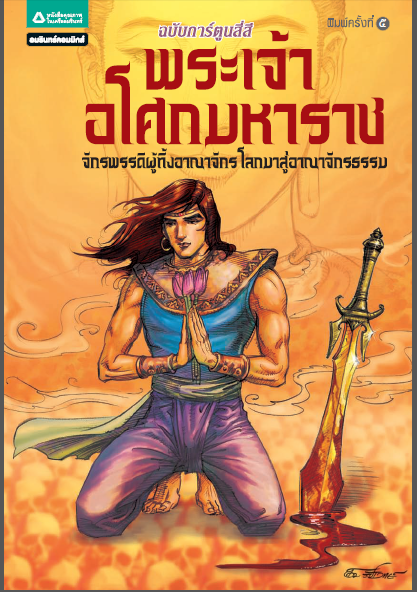 Author :Sala Nakbumrung This storybook helps students learn about the kingdom of Sukhothai , which is suitable for primary levels. 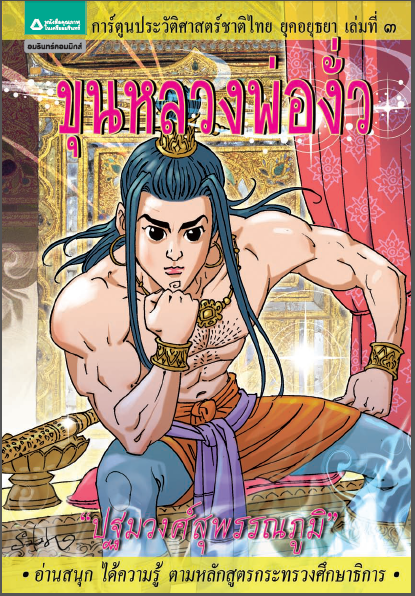 Thai Historical Comic: Sukhothai Era Vol. 3 King Ramkhamh... 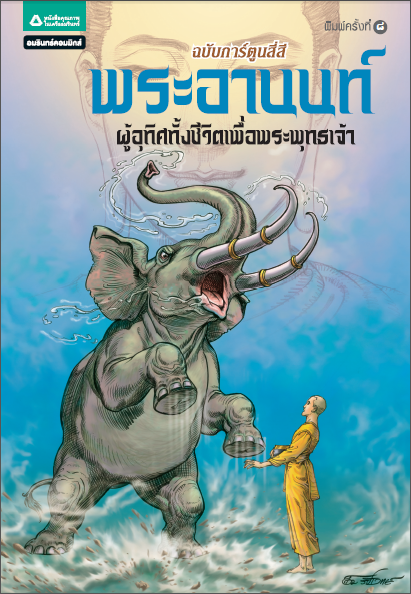 Author :Sala Nakbumrung This storybook helps students learn about the kingdom of Sukhothai , which is suitable for primary levels. 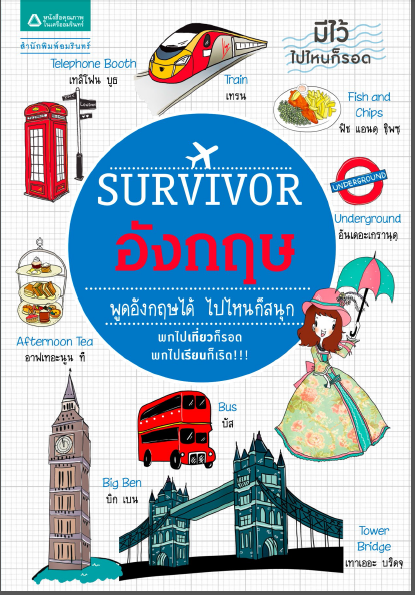 Survivor England Author :Giftty Girl, Paipun Janphet This book will help learn basic English language and useful vocabulary for tourist, which is suitable for primary and secondary levels. 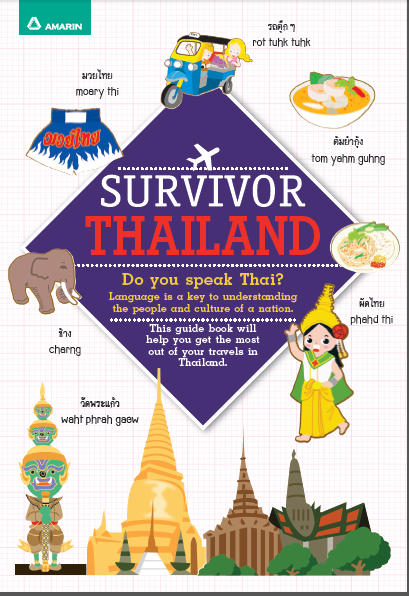 Survivor Thailand Author :์ีืNungning, Scott Rosenberg This book will help learn basic Thai language and useful vocabulary for tourist, which is suitable for primary and secondary levels. 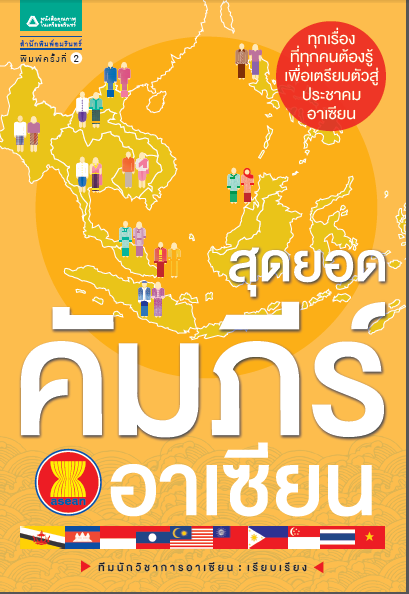 The Greatest Book of ASEAN Author :Team ASEAN This supplementary book helps students learn the basic knowledge of ASEAN and ASEAN member countries in social, economy and cultures aspect, which is suitable for primary and secondary level. 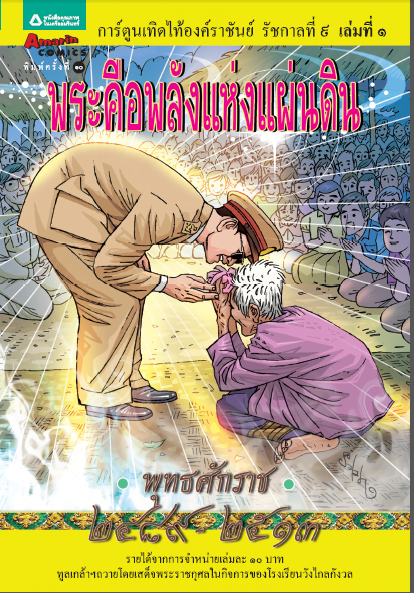 King Rama IX Comic: The Great King in Our Hearts Author :Sala Nakbumrung This supplementary book helps students learn about biography of His Majesty Bhumibol and his royal development projects for Thai people, which is suitable for primary level students. 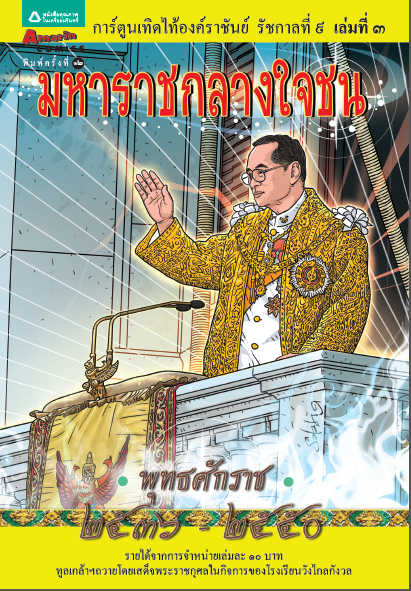 King Rama IX Comic: Power of the Nation Author :Sala Nakbumrung This supplementary book helps students learn about biography of His Majesty Bhumibol and his royal development projects for Thai people, which is suitable for primary level students. 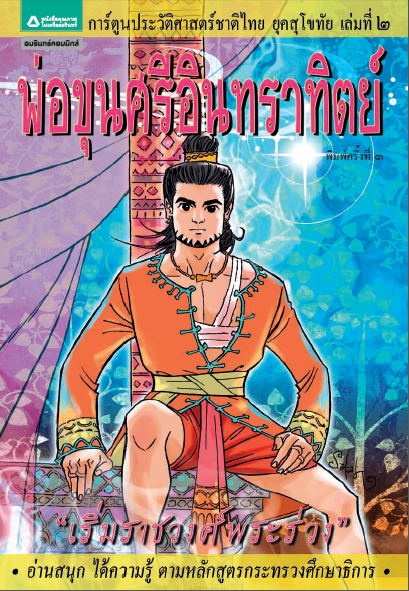 Buddhist Comic: King Ajatashatru Author :Aom Ratchawet This supplementary book helps students learn about the story of King Ajatashatru, which is suitable for primary level students. 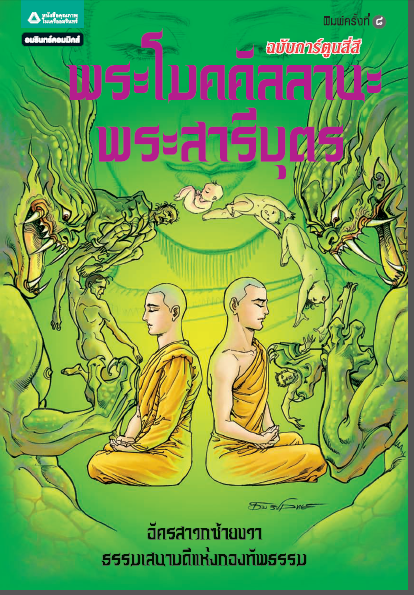 Buddhist Comic: Visakha and Anathapindika Author :Aom Ratchawet This supplementary book helps students learn about the story of Visakha and Anathapindika, which is suitable for primary level students. 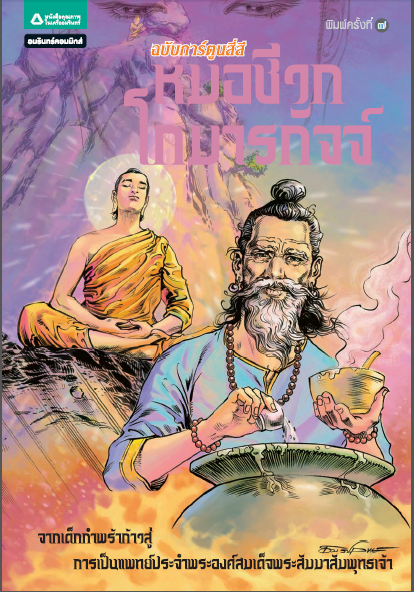 Buddhist Comic: Hermit Doctor Cheewaka Komarapach Author :Aom Ratchawet This supplementary book helps students learn about the story of Hermit Doctor Cheewaka Komarapach, which is suitable for primary level students. 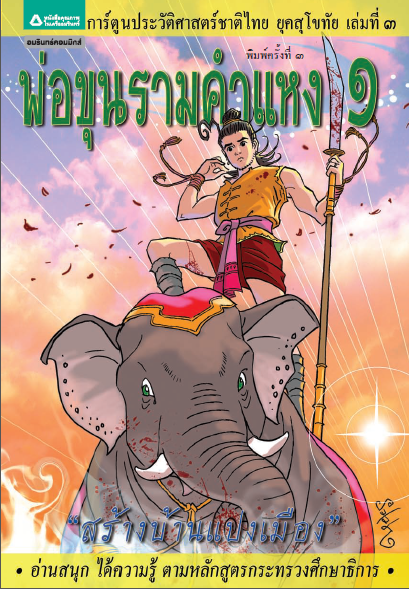 Buddhist Comic: Princess Pimpa Author :Aom Ratchawet This supplementary book helps students learn about the story of Princess Pimpa, which is suitable for primary level students. 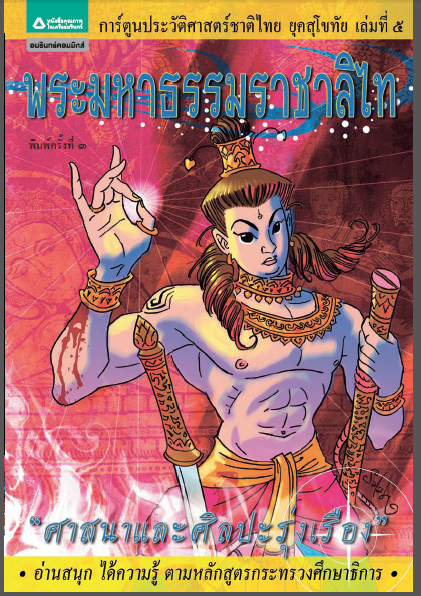 Buddhist Comic: Angulimala Author :Aom Ratchawet This supplementary book helps students learn about the story of Angulimala, which is suitable for primary level students. 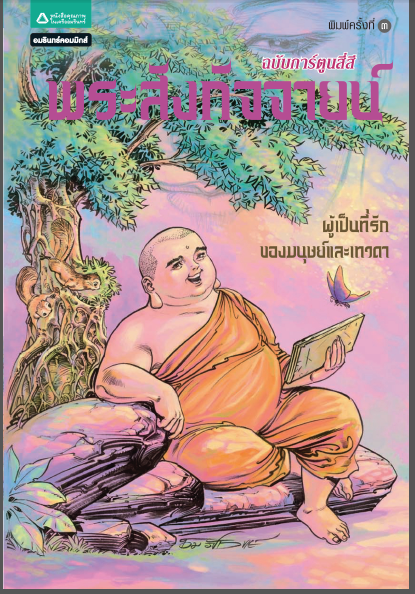 Buddhist Comic: Kassapa Buddha Author :Aom Ratchawet This supplementary book helps students learn about the story of Kassapa Buddha, which is suitable for primary level students. 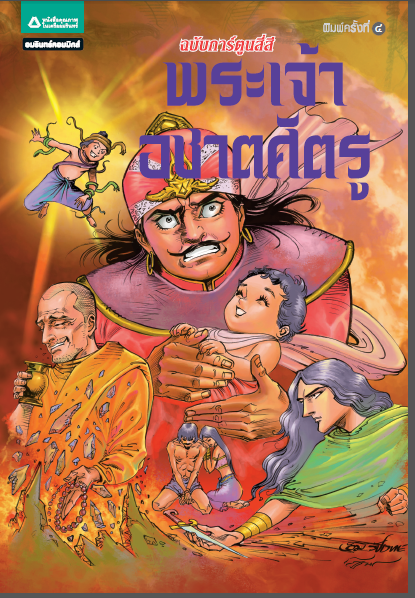 Buddhist Comic: Katyayana Author :Aom Ratchawet This supplementary book helps students learn about the story of Katyayana, which is suitable for primary level students. 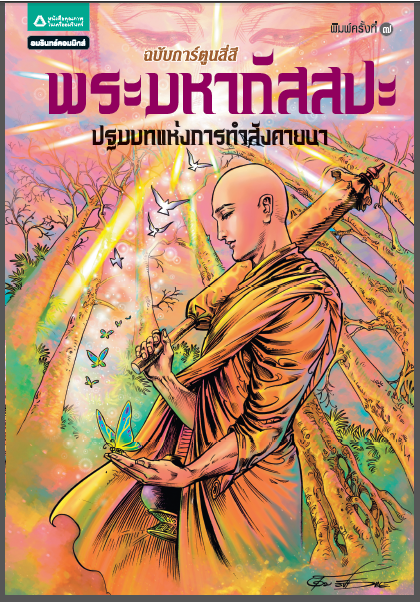 Buddhist Comic: Ananda Buddha Author :Aom Ratchawet This supplementary book helps students learn about the story of Ananda Buddha, which is suitable for primary level students. 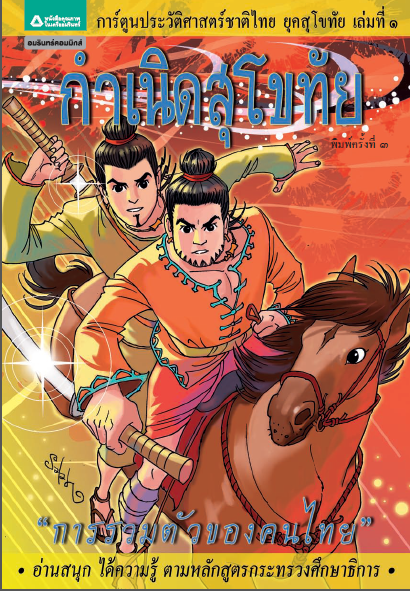 Buddhist Comic: Moggallana and Sariputta Author :Aom Ratchawet This supplementary book helps students learn about the story of Moggallana and Sariputta, which is suitable for primary level students. 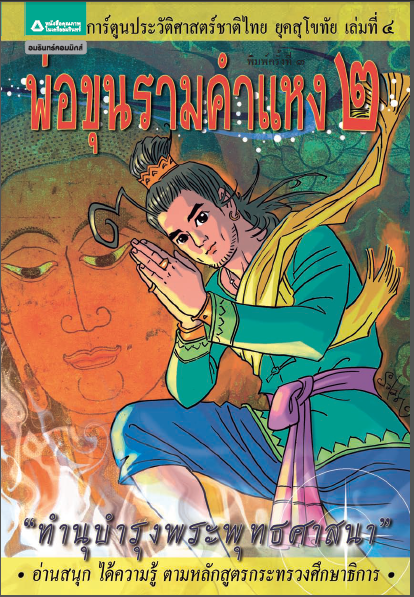 Buddhist Comic: Story of the Lord Buddha Author :Aom Ratchawet This supplementary book helps students learn about the story of Buddha, which is suitable for primary level students. Jamok: The 5 Food Groups We Need to Know Author :Natthayaporn Chothikarn and Pattornsuda Rathanajung This supplementary book helps students learn about the 5 food group and nutrition, which is suitable for primary level students. 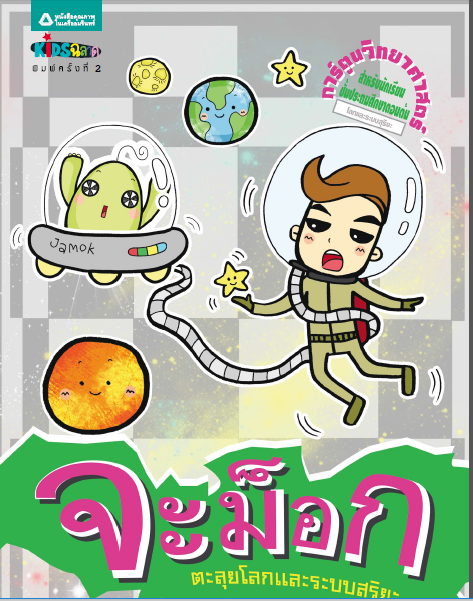 Jamok: The Adventure to the Planets and Solar System Author :Natthayaporn Chothikarn and Pattornsuda Rathanajung This supplementary book helps students learn about Earth and Solar system, which is suitable for primary level students. 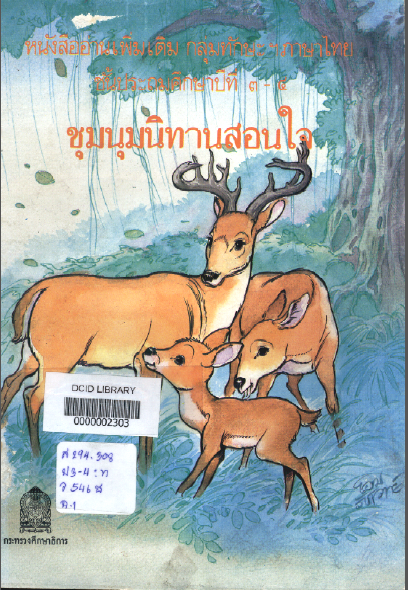 Jamok: Let's Learn about Animals Author :Natthayaporn Chothikarn and Pattornsuda Rathanajung This supplementary book helps students learn about animals, which is suitable for primary level students. Jamok: Wow! 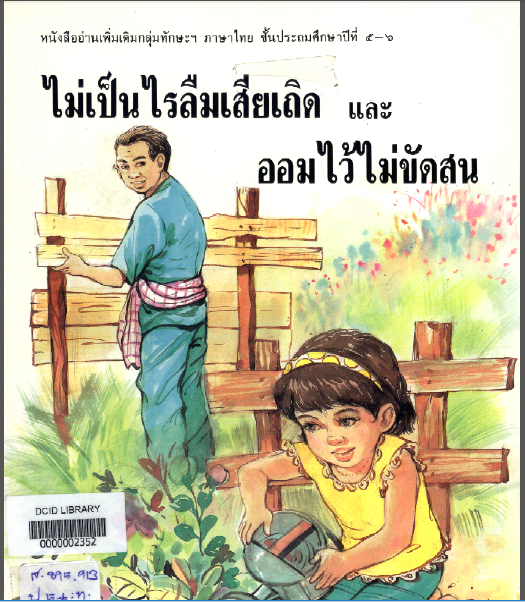 Green Plants Author :Natthayaporn Chothikarn and Pattornsuda Rathanajung This supplementary book helps students learn about green plants and components of the plant, which is suitable for primary level students. Jamok: How Does Human Body Works? 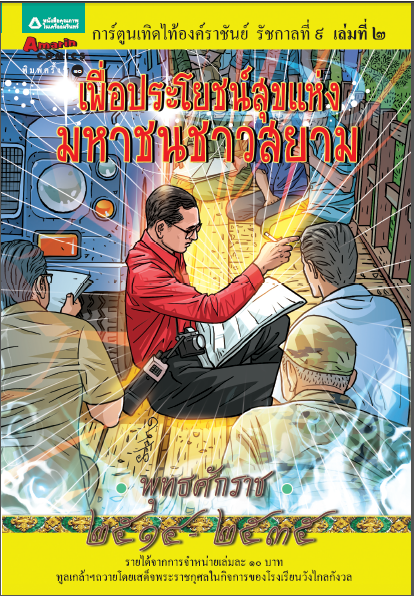 Author :Natthayaporn Chothikarn and Pattornsuda Rathanajung This supplementary book helps students learn about body parts and body system, which is suitable for primary level students. The Robot in Town ( Robot defeat pollution Vol. 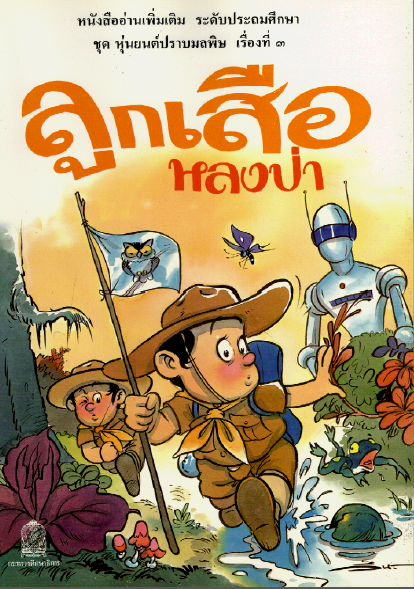 4) Author :Kumpin Sutthipituk and Manop Thanomsri This supplementary reading book is one of the book in the Robot defeat pollution series, which contains 6 stories in the series. This book is suitable for primary level students. The Lost Boyscout (Robot defeat pollution Vol. 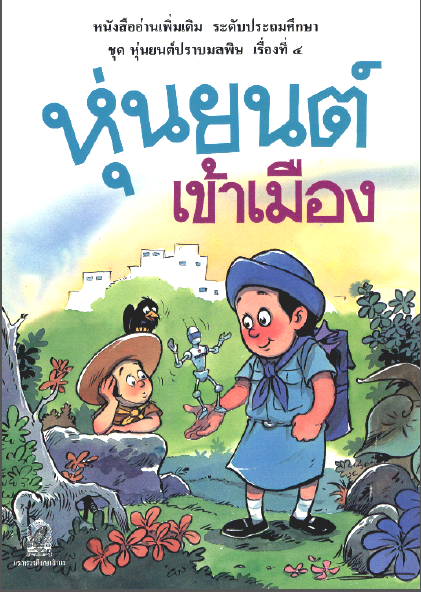 3) Author :Kumpin Sutthipituk and Manop Thanomsri This supplementary reading book is one of the book in the Robot defeat pollution series, which contains 6 stories in the series. This book is suitable for primary level students. UFO (Robot defeat pollution Vol. 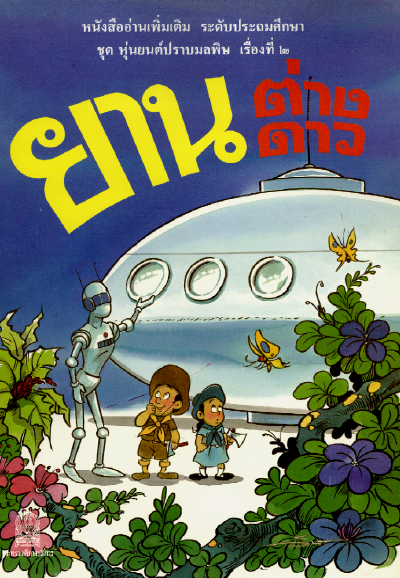 2) Author :Department of Curriculum and Instruction Development, Ministry of Education This supplementary reading book is one of the book in the Robot defeat pollution series, which contains 6 stories in the series. This book is suitable for primary level students. 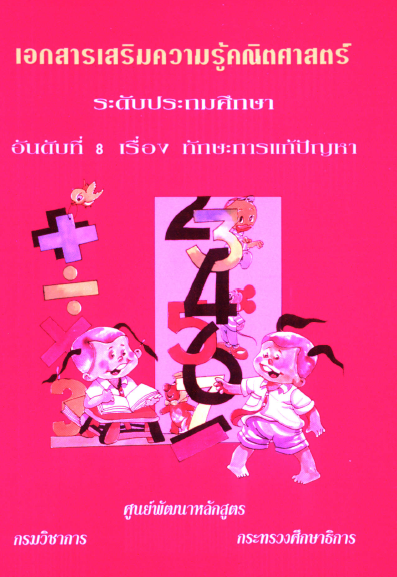 Thai Proverb Stories Author :Department of Curriculum and Instruction Development, Ministry of Education This supplementary reading book contains 35 Thai proverb stories. This book is suitable for grade 3 - 6. 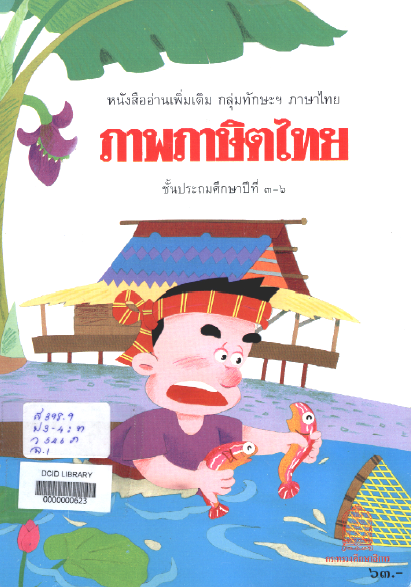 Golden Goby Fish Author :Department of Curriculum and Instruction Development, Ministry of Education This supplementary reading book is suitable for grade 3 - 6. 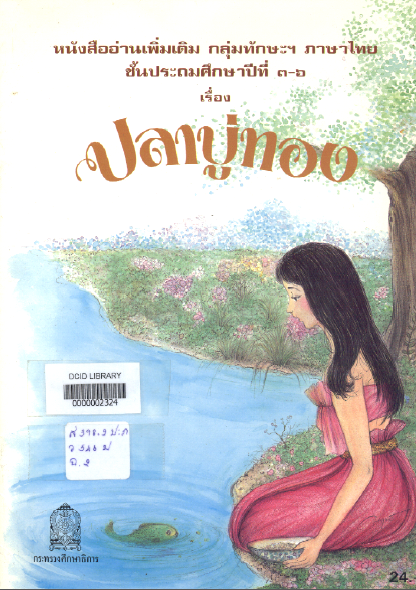 Good Collection Stories Author :Sujarit Pianchob, Nawan Panamawesha, Somporn Petchyim and Jidarom Sawaddishithung This supplementary reading book contains 7 moral stories. This book is suitable for grade 3 - 4. 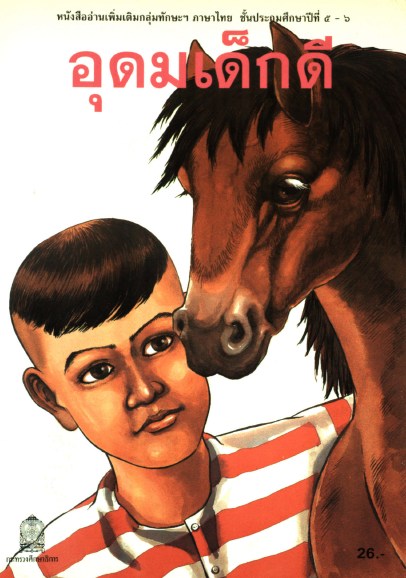 Chantakorob Author :Somporn Jarunat This supplementary reading book is suitable for primary level students. This supplementary reading book is suitable for primary level students. 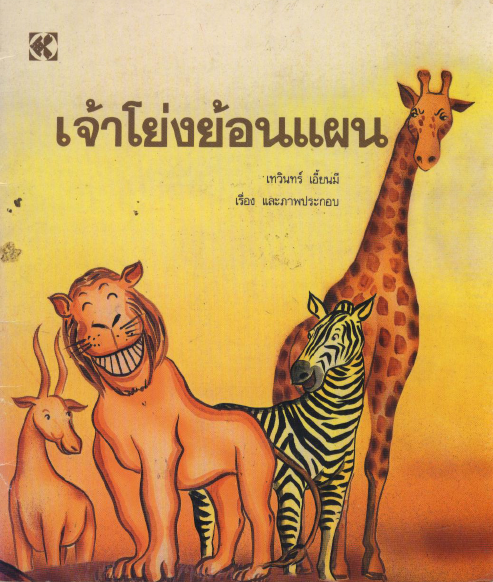 The Mother Cow and the Tiger Author :Suwanna KriangKriphet This Jakata Tales is suitable for primary level students. 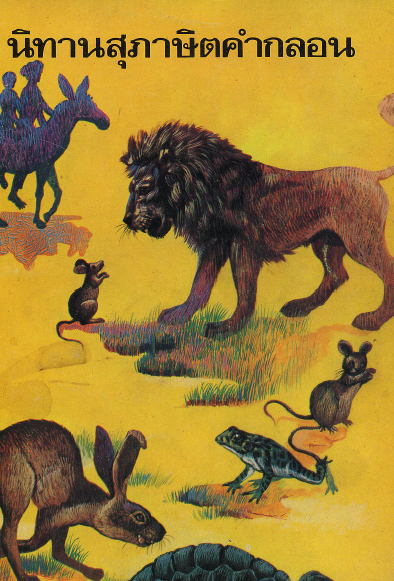 This Jakata Tales is suitable for primary level students.